Don’t be scared, but Halloween is right around the corner. Have you purchased any treats yet? Once again, I’ve recently bought a few bags of candy, but have already dipped into them. I must gain control of myself! LOL. What about you? Have you bought anything for Halloween yet? If so, what? And what’s your own personal favorite Halloween treat? Let us know by leaving a comment! Anyway, we love our trivia – especially holiday trivia – here on the NCP Blog, so let’s get to it! Where did the Jack-O-Lantern phrase come from? The name Jack-O-Lantern first originated from an Irish folktale about a man named Stingy Jack who tricked the Devil over and over again. When Jack died, he was forced to walk the Earth with only a carved-out turnip and burning coal to help light his way. Who started the black cat superstition? The superstition that it’s bad luck for a black cat to cross your path comes from the Protestant beliefs of the Pilgrims. They disapproved of anything associated with witchcraft, and some believed the legend that witches could transform into black cats and back. How much do parents spend on Halloween? In 2013, the U.S. Census Bureau estimated there were 41 million trick-or-treaters ages 5 to 14 in America. Parents spent an estimated $1 billion on children’s costumes combined. By 2014, that number nearly tripled. And according to the National Retail Federation, Halloween party-goers spent an estimated $2.8 billion on costumes overall. What is one of the holiday’s most-produced candies? It’s candy corn! Since its invention in 1898 by the Herman Goelitz Confectionary Company of Fairfield, California (now known as the Jelly Belly Candy Company), candy corn has become very popular — so much so that today, nearly 35 million pounds of the stuff is produced each year. How big a consumer holiday is Halloween? Halloween is a big business. So big, in fact, that it’s the second-largest commercial holiday in America, with Christmas being the only one to surpass it in sales. 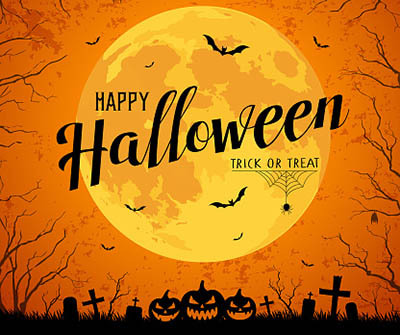 According to the National Retail Federation, consumers spent $5.8 billion on Halloween in 2010, and by 2015, that figure jumped to nearly $7 billion. Have a great weekend, and also a great Halloween! NCP Sweepstakes – Send Us Your Shopping Info And You’re In! Like almost everyone else in the country, I’m playing the lottery this week. After all, the current Mega Millions drawing is estimated to be $970 million. And the current Powerball jackpot will be worth an estimated $430 million. Unfortunately, the odds of winning Mega Millions were 302,575,350 to 1 as of Thursday, according to USA Today. Now I know the odds are long, but I keep telling myself I’ll be the lucky one. LOL! If you want a better chance of winning something, just be a regular participant on the panel! NCP has an amazing variety of sweepstakes, which are awarded weekly, monthly, and quarterly, and yearly. For more details, visit our Pick n’ Win Page. Well, good luck to everyone who’s playing the lotteries. And let me know if you’ve ever won something in the lottery. Have a great – and lucky – weekend! As previously posted, a few months ago I was the victim a scam, whereby someone was trying to get into my bank account. So I now take security very seriously, and you should, too! Create complex passwords. Creating strong, unique passwords for your accounts is the best way to keep your personal and financial information safe. You can use a password manager to help you store and create strong passwords for all of your accounts. Boost your network security. Make sure that your connections are secure; use a password-protected router that encrypts your data. Be careful using free, public Wi-Fi, which is often unsecured. Use a firewall. Even if your network is secure, you should still use a firewall. This an electronic barrier that blocks unauthorized access to your computers and devices, and is often included with comprehensive security software. Using a firewall ensures that all of the devices connected to your network are secured, including devices like smart thermostats and webcams. Be a selective sharer. Be cautious about what you share, particularly when it comes to your identity information. Protect your mobile life. Mobile devices face new risks, such as risky apps and dangerous links sent by text message. Be careful where you click, don’t respond to messages from strangers, and only download apps from official app stores. Practice safe surfing and shopping. When shopping online, or visiting websites for online banking or other sensitive transactions, always make sure that the website’s address starts with “https”, instead of just “http”, and has a padlock icon in the URL field. This indicates that the website is secure and uses encryption to scramble your data so it can’t be intercepted by others. Thank you, and have a safe and secure weekend! Not an NCP member yet?Sign up at join.ncponline.com. Now that we’re a few weeks into autumn, it’s time to start thinking about all the fall home maintenance tasks that should be done before winter begins – and with the way time zips along, the cold and darkness will be here soon enough! My husband and I like to get an early start on our fall chores, since there’s so much to do. 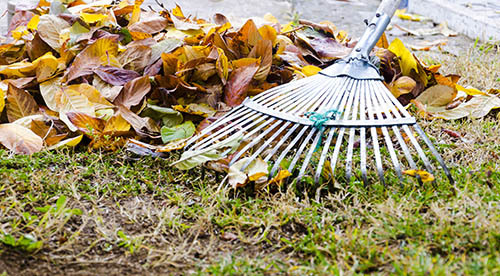 Rake leaves, so the leaves on a lawn over winter don’t inhibit spring growth. Make exterior repairs. Look for any signs of damage on the roof, siding, and foundation. Seal gaps so cold and critters don’t enter. Check walkways, railings, stairs and the driveway for winter safety. Shut off exterior faucets and store hoses so the freezing temperatures don’t damage anything. Add weatherstripping around the frames of windows and doors to keep the house warmer and to cut energy costs. Clean and stow your lawn mower. Remove garden hoses from faucets so the hoses don’t freeze. Have a great weekend! Let me know if you have any fall maintenance tips and tricks. I’d love to hear all about them.